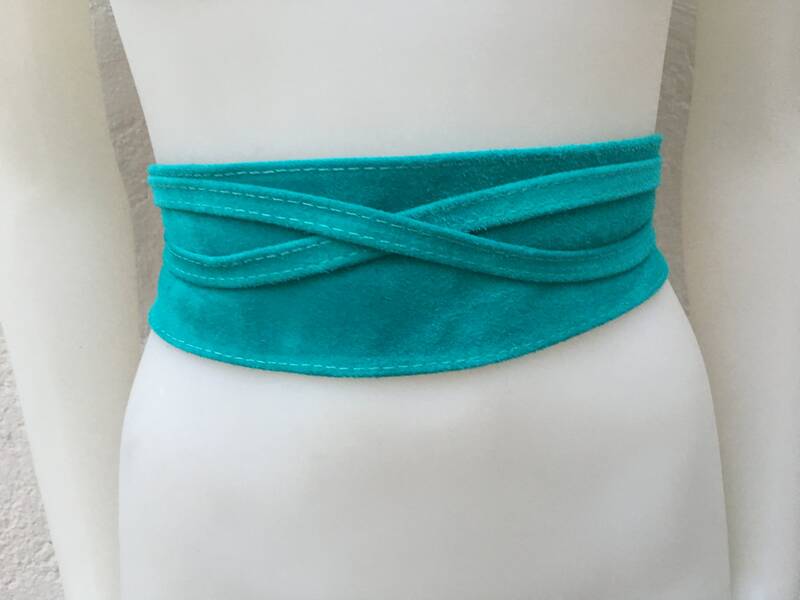 TURQUOISE suede sash. Leather OBI belt. Waist belt in soft natural suede leather. 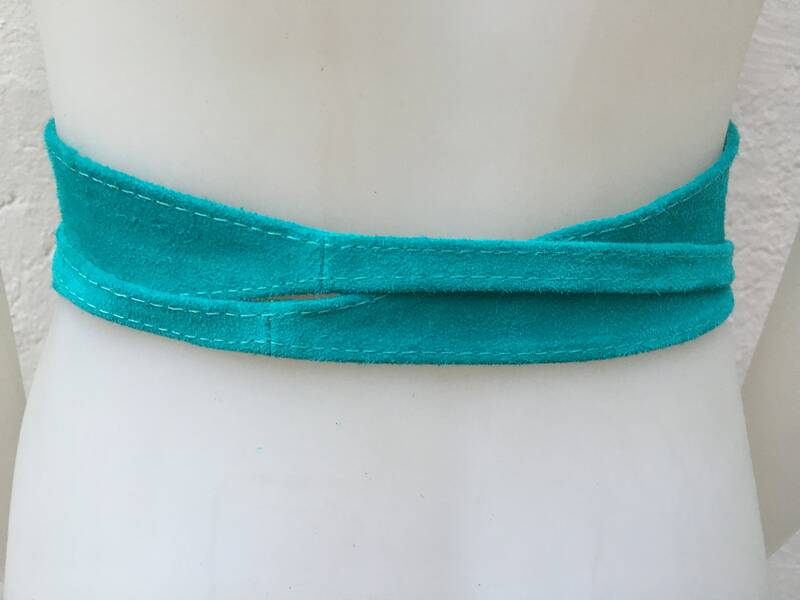 TURQUOISE BLUE colored suede. Genuine leather belt.